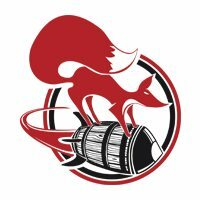 Here at Red Fox Cellars, we pride ourselves in our bold and adventurous wines and ciders. We are respectful to but unbound by tradition and we think we just might be on to something. Join us to decide for yourself at our rustic and charming tasting room for free wine samples and stay for a glass or two on our patio. We also serve wine cocktails as well as cider and fruit wine flights. Come one, come all- all we ask is that you make yourself at home! From Front Street, turn north on 36 road. We are over the train tracks and on the left. From the Fruit and Wine Byway (G Road), turn south on 36 road. We are down near the railroad on the right.